kt literary » Blog Archive » Another lovely review for RED BUTTERFLY! Another lovely review for RED BUTTERFLY! 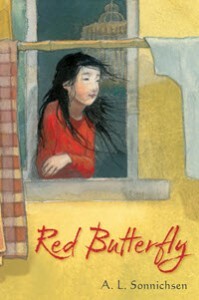 Thanks to the Bulletin of the Center for Children’s Books for this lovely review of Red Butterfly by A.L. Sonnichsen!